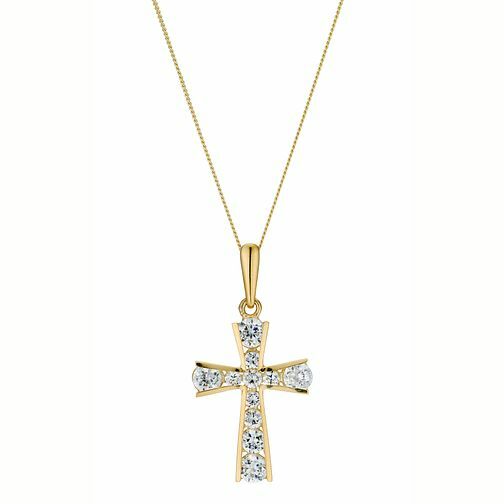 Treat yourself to this beautifully crafted 9ct gold cross set with sparkling cubic zirconium. 9ct Gold Cubic Zirconia Set Cross is rated 4.7 out of 5 by 3. Rated 4 out of 5 by Anonymous from Very pretty Sadly I had to return to store for an exchange as the chain was damaged but it was replaced with an identical one and it’s so pretty also the staff were excellent.